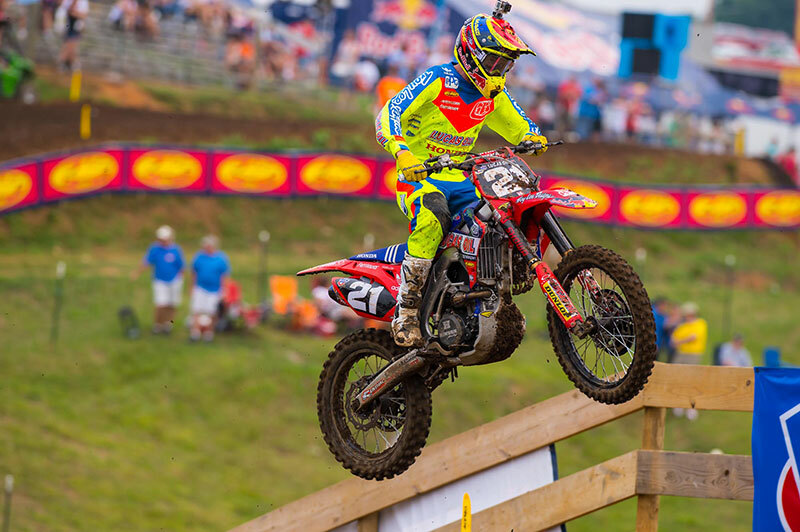 The Troy Lee Designs / Lucas Oil / Honda riders came into Muddy Creek ready to shake things up. They were met with muggy conditions and a track that was as technical and tricky as anything they will see all year. The ruts were deep, sticky and treacherous, and they claimed riders all day long. The team is still flying in missing-man formation as they wait for Shane McElrath to return from injury. His back is healing and it will be a very short time until we see Shane under the tent and suited up once again. In the 450 class, Malcolm Stewart's day started off on the wrong foot. A first turn pileup claimed Malcolm and a slew of other top riders. He got going quickly only to crash into the back of another rider three laps later and fall further behind. Stewart persevered and would post a 14th place finish in moto one to at least salvage some points. The second moto went much better; at least he didn't hit the ground. But the Muddy Creek ruts and bump made it difficult for Malcolm to find his rhythm and he just couldn't seem to find the pace he needed to get to the front. He still made some headway and would be 10th at the end of the moto for 11th overall on the day. The 250 class roared up the start hill and TLD riders Jessy Nelson and Cole Seely were sitting in 10th and 12th positions, respectively. Cole picked his way through the Tennessee ruts and moved all the way to 6th at the moto's end. His teammate, Nelson, would follow the team captain in for 7th. The next moto, both riders were once again just outside the top ten off the start and they both moved forward. Cole would push his way to 8th while Jessy would finish 10th. Seely and Nelson finished 6th and 8th overall at Muddy Creek, a solid result at a very difficult venue. 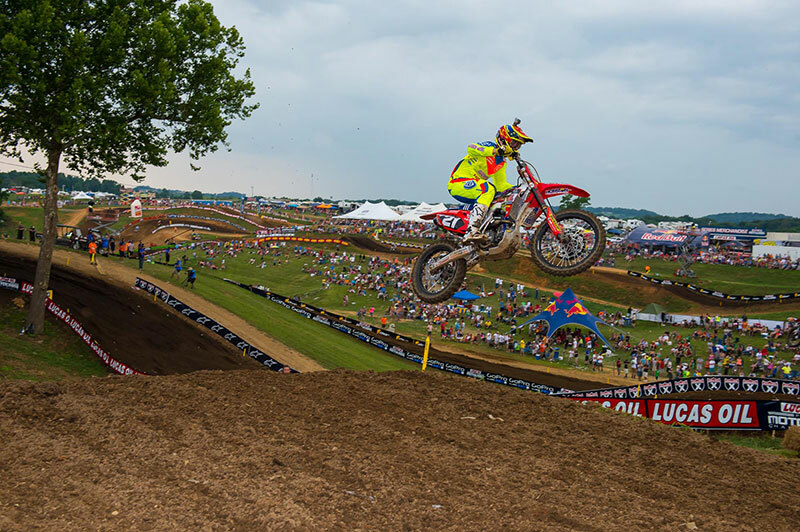 As the series nears the halfway mark, the Troy Lee Designs / Lucas Oil / Honda team is poised to make a push to the front. Seely and Nelson are both one good start away from a podium finish, Malcolm is in the same boat on the 450 and McElrath is ready to join the fray soon. As the tour hits Red Bud this weekend in Michigan, be sure to cheer for the TLD boys. The TLD riders wore the 2015 SE Pro and 2015 GP Air gear at Muddy Creek. Both lines, along with the 2015 Moto Helmets are now available online and at your local TLD retailer.